Most companies have become quite good at collecting data from their clients. However, the data is only as good as how the company is able to exploit it. Most businesses today only collect huge amounts of data, but they fail at making use of it to grow revenues. 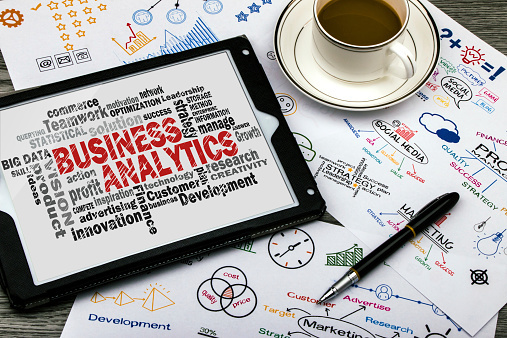 To make use of big data, a big part of it relies on predictive analytics. This type of analysis allows companies to glean more information about their clients. The scores are numerical, and they represent the probability of a client having a certain interaction with the company. For instance, it predicts their chances of making their next purchase at a certain time. This data is then used to inform the organization’s actions in relation to that of a client. It is the insight from the patterns of client behavior that can be used to grow sales. However, it is important to note that predictive analytics cannot define the exact behavior of a client. Instead, it only predicts the chances that it is what they will do. This advantage can vary by industry. For an e-commerce site, the use of predictive analytics can play a crucial role in pricing over time. It can also be used to show the right promotional material to the right target clients. 1. Provide you with Insight into your Clients. Sometimes, you may think you understand your clients from a few samples. However, there is also a higher chance that you are wrong. Without an accurate idea of your clients, including their age, gender, income, it is difficult to make predictions that help you grow profits. Predictive analytics will provide you with insight into what drives your clients. You will also be able to understand what their motivation is for making a purchase. With such nuggets of wisdom, you can market to them more effectively. Predictive analysis can help you cut losses by preventing being out of stock. When you are able to predict how much clients will buy from you, you can make orders with that in mind. That will also help you avoid issues such as expired inventory. Predictive analysis can help you plan your expansion with a high degree of success. For instance, if you are planning to expand retail, you can make use of predictive analytics. You may find that a huge segment of your clients travels a long distance just to access your services. By utilizing data, you are able to identify the optional location where you should build your new retail outlet.